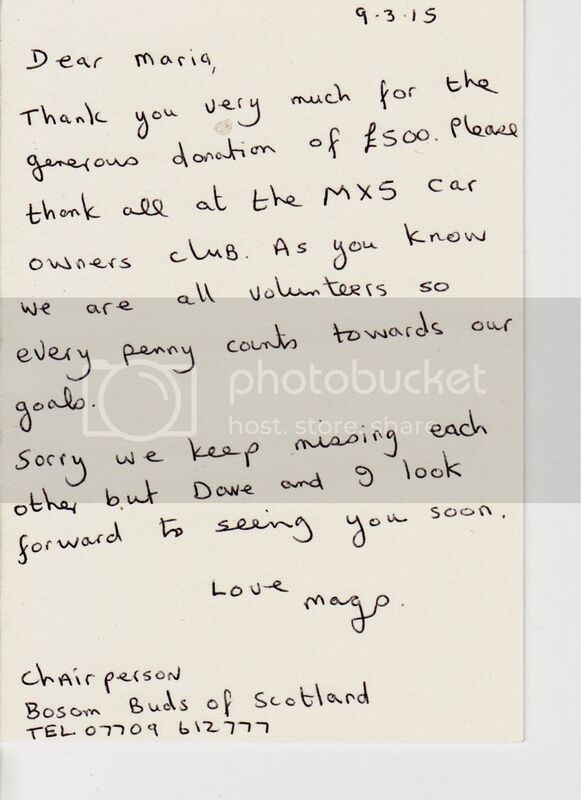 MX-5 Scotland • View topic - Bosom Buds Charity thank you. Bosom Buds Charity thank you. Discussion about events organised by the Central Scotland region. 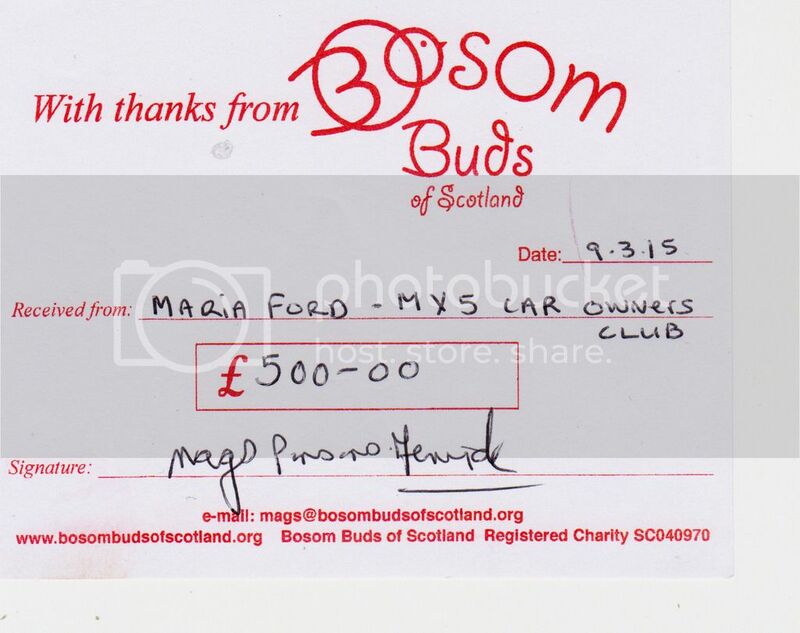 Hi all members from Central Scotland, I received a thank you letter and a receipt from Mags at Bosom Buds for our donation from last years raffles. She hopes to meet us at the chip shop after our Kelpie run.